Laying drainage pipes is a job for professionals, but DIYers can try their hand at less extensive drainage systems. Pipes must slope slightly downhill to drain properly. The standard slope is anywhere from ¼ inch to 3 inches per foot. An accurate calculation is essential for properly functioning plumbing. A pipe that doesn’t slope enough, won’t drain. A pipe that slopes too much drains water but not solids. If you’re installing a drain pipe, here’s an easy way to figure out the slope for a drain pipe. A more reasonable project for a DIYer is installing a drain pipe to get rid of water somewhere in the yard. We’re blessed with months of rain in Clark County. Wherever you live in Southwest Washington, whether it’s Camas, Washougal, Battle Ground or Vancouver, your property needs good drainage to prevent soggy areas in your yard, or worse, under your house. If water is collecting in your garden or close to the foundation of your home, you’ve probably tried various solutions to alleviate the problem. Sometimes all it takes is a longer drain gutter to move water away from the house. In many cases, as long as your yard slopes away from the house, a gutter that empties three feet away from the foundation is sufficient. 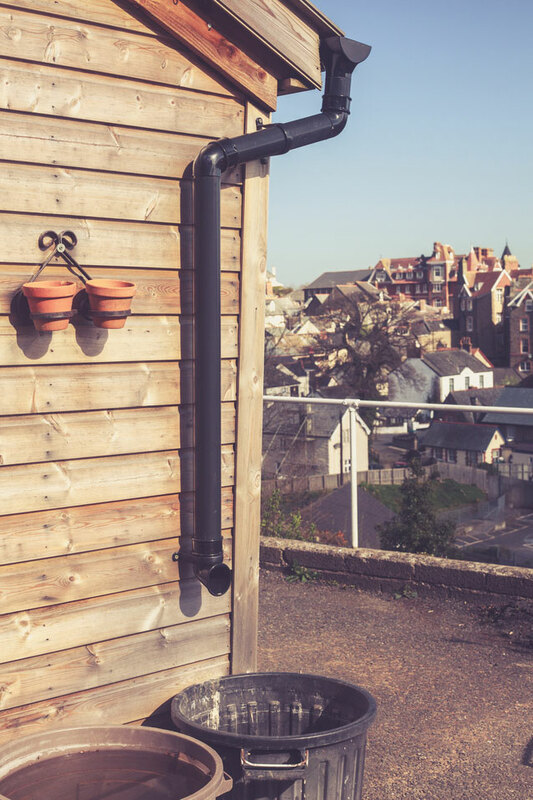 A rain barrel is a simple solution to catch excess water, but sometimes a drain pipe is what the job calls for. But, if everything you’ve tried hasn’t worked, you may be looking at installing a pipe or a french drain system. If you plan on using either of these solutions, you’ll need to know how to calculate drain pipe slope. Before you dig more than 12 inches deep, be sure to call the Utility Notification Center to help locate underground lines. Both Washington and Oregon residents can call the same number: 811. Call at least two working days ahead of digging. They’ll send someone out to mark the locations where it’s not safe to dig. One more caveat: Don’t drain anywhere you’re not supposed to or that creates problems for neighbors. Let water from your gutters or other soggy spots drain to a dry spot in your yard. When in doubt, check your area’s codes. The first step is absolutely crucial to figuring out the slope: measure the drain line distance. In order to make accurate calculations, you need to know the exact length the pipe will need to travel. To find this, plan the drain route, taking the shortest distance possible. The longer the pipe’s route, the more vulnerable it will be to clogging. Make note of any bends and turns that will require specific pieces. If you’re installing a simple drainage pipe, you probably won’t have bends and turns. Once you have determined the route of the line, you can figure out the pipe lengths you’ll need to purchase. Be sure to include any pipe connectors to get the correct configuration. Before placing your pipe, use this formula to determine the slope. Multiply the number of feet of your pipe (X) by the inches you’re planning to slope the line (Y). This will give you the difference in height (Z) between the beginning and end of the pipe: (X) x (Y) = (Z). Example 1: If you have 10 feet of pipe, and you’d like to slope your pipe ½ inch per foot, your equation would be 10 x ½ = 5 inches. This means you will need to set your pipe so there’s 5 inches difference in height between the beginning and the end. Example 2: If you want the minimum slope (¼ inches per foot) your equation would be 10 x ¼ = 2 ½ inches. In this case, the end of your pipe will be 2 ½ inches lower than the beginning. This is the minimum amount of slope for a drain pipe. Anything less reduces the draining efficiency and may result in clogs. If you need help determining the correct slope and position of your pipes or you want expert help in laying them, contact Simpson Plumbing. 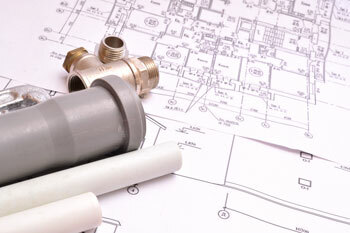 Our experienced plumbers can help you with any of your plumbing questions or problems. Call us today at (360) 834-5311. Last updated Dec. 14, 2016. Originally posted Dec. 21, 2015.